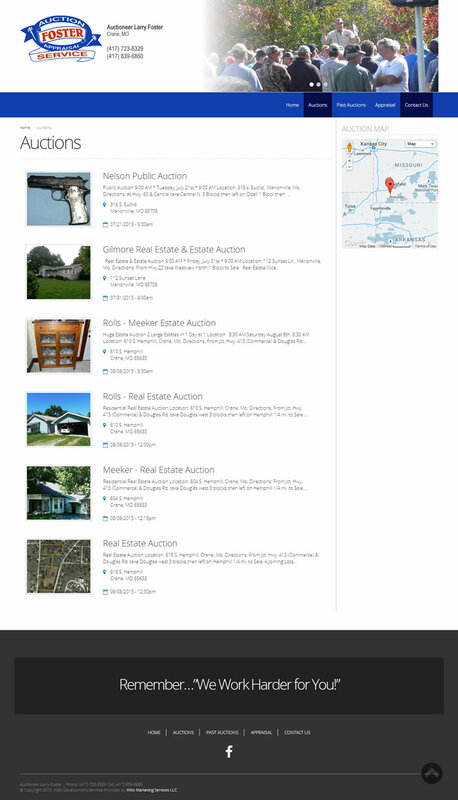 Foster Auction & Appraisal is a full-line auction service handling estate, farm, real estate, antique, collectible, household, local government and business liquidation auctions. They believe in honesty, commitment and old fashioned hard work to achieve the best possible return. Their new custom site offers both form and function. It's one thing to have a site that works but even better is a site that works and looks good doing it. From the UI Larry and his team can manage the site in-house. This saves both time and money.